„Selfportrait“, ca. 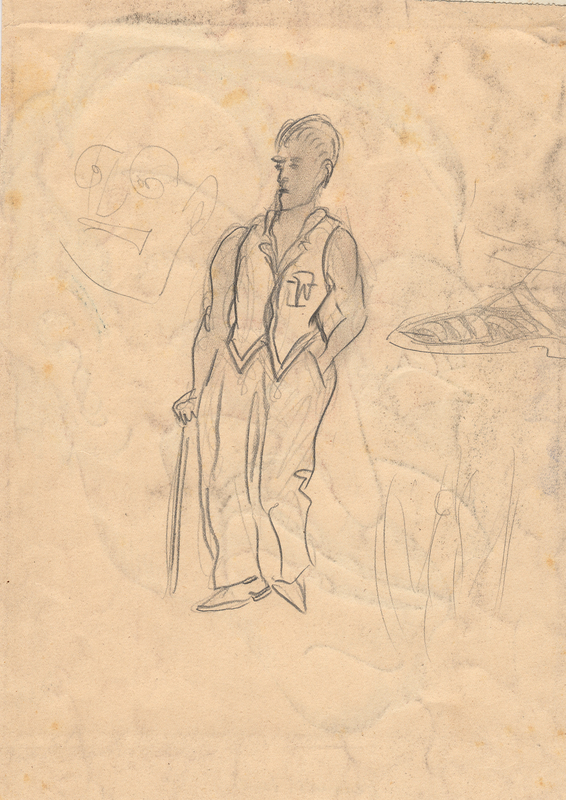 1928, lead pencil on paper. Werner P. Zibaso was born as Gustav Otto Werner Zippel in Bad Homburg. 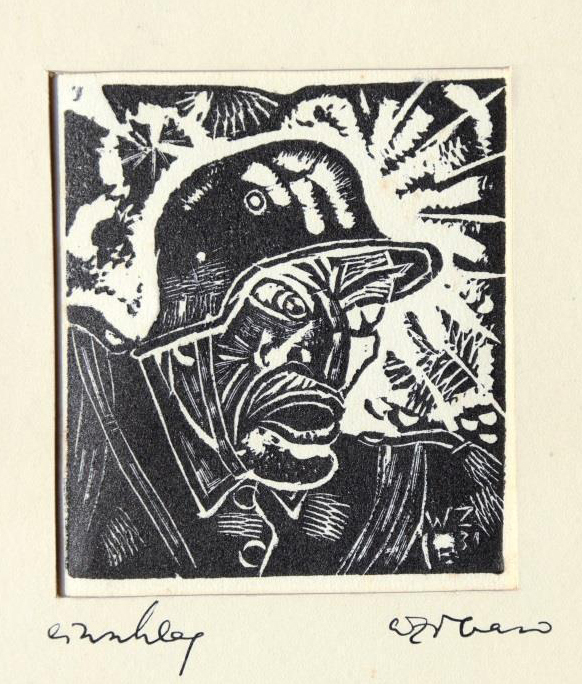 He was a painter, graphic artist, author and successful script writer. 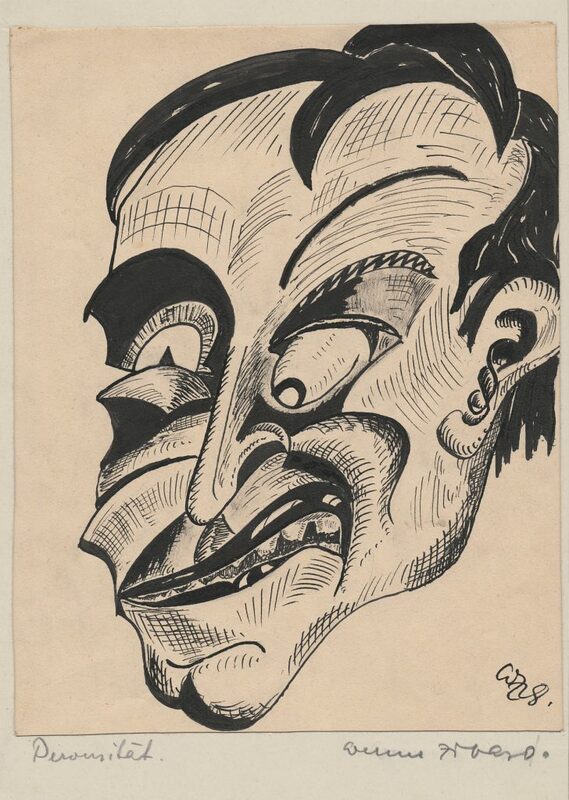 „Selfportrait“, reverse of the ink drawing „Perversity“, 1928. 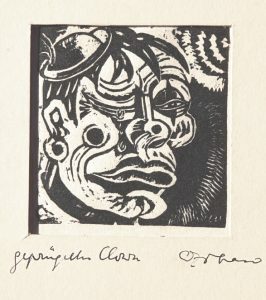 The ink drawing „Perversität (perversity)“ is one of several known character studies of the then 18 year old Zibaso. 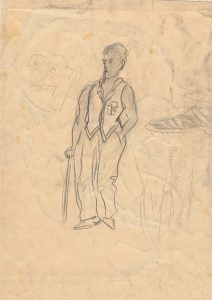 The sketch on the reverse shows him as critical, slightly arrogant dandy, with combed back hair, waistcoat and walking-stick.The waistcoat pocket bears his monogram „WZ“. 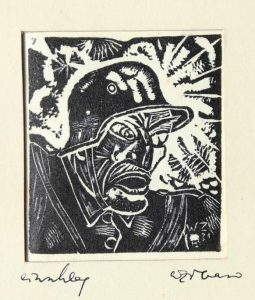 „Weft“, 1931, woodcut on paper, 8,5 x 9,5cm. „Battered Clown“ 1931, woodcut on paper, 8 x 8,5cm.